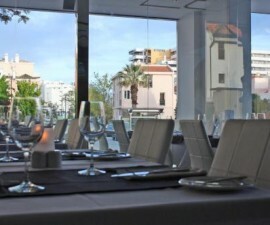 Strolling through the pedestrian area surrounding the Marina of Vilamoura, you will come across O Colonial Restaurant, a simple yet fantastic house of international and Portuguese cuisines. With many other restaurants in the Marina, this one is sure worth a try because of the sumptuous dishes and warm atmosphere it offers. O Colonial Restaurant boasts a wonderful selection of home-made dishes cooked to perfection. 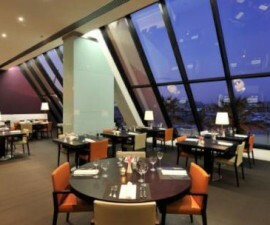 There are great fish, steak and chicken dishes that would surely make you want to take a second order. From the taste to the foods’ presentation, you will know that O Colonial Restaurant serves only the freshest and best quality recipe. For a first time meal at the restaurant, an order of pepper sauce steak, or chicken and prawn kebab would make an absolutely satisfying dinner for you. Its owners, Isabel and Fernando, have really ensured that each cuisine has its special twist to make your dining experience more remarkable. Some Portuguese dishes have a South African savour that you will surely love. When you order meat and fish dishes, don’t miss spicing them with O Colonial’s special piri piri sauces and washing them down with the restaurant’s special wine. When it comes to pricing, you can rest assured that dining at O Colonial Restaurant will give the best value for your money. The dishes are affordable and very sumptuous, making the restaurant perfect for group meals, family reunions or meetings. The interior of O Colonial emanates a very bright atmosphere. The aesthetics are stylishly simple and will make you feel like you are home. Add to this a very friendly customer service, as best modelled by the restaurant’s owners. If you are not very familiar with dishes in Portugal, Fernando is ever willing to suggest the cuisines that will match your taste or craving. All staff of O Colonial is jolly and warm, reflecting the hospitality that is a trademark of Vilamoura. O Colonial Restaurant is tucked away at a quiet street behind the Marina. 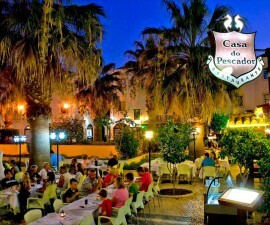 It may not be as visible as other Vilamoura restaurants, but it is certainly among the best. If relaxation and a feeling of being home away from home is what you are looking for, this is the restaurant that will pamper and make you feel like you’re a special part of its family.